The Fuzzy Peach frozen yogurt chain will open in May at the Hampstead Town Center, Raleigh developer Wakefield Associates Inc. announced Thursday. Wilmington-based Fuzzy Peach previously had said it planned a Hampstead location. 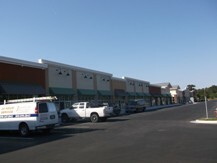 Other tenants at the 82,000-square-foot center include Atlantic Wireless, Great Clips and Darden Nationwide Insurance. Fuzzy Peach has eight locations open now with eight others planned in the Carolinas in addition to the Hampstead store. Hampstead Town Center, at U.S. 17 and Ravenswood Road, will be anchored by a 40,000-square-foot Lowes Foods. 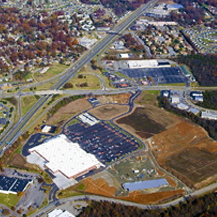 The Darden Insurance Agency, Great Clips and Atlantic Wireless will join Lowes Food at the Hampstead Town Center after the center is finished in May 2013, leasing officials said Wednesday. 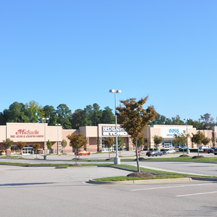 Preston Waldo, leasing agent with Retail Strategies who is responsible for onsite leasing at the Hampstead development, also said Wednesday that four other tenants plan to sign leases at the shopping center in the coming months, according to a news release. 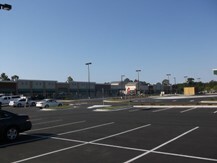 Hampstead Town Center is a $14 million, 81,970-square-foot development that is currently under construction at the intersection of U.S. Highway 17 and Ravenswood Road on 14.12 acres in Hampstead. 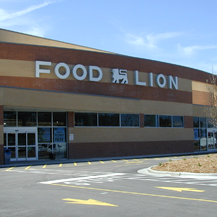 The project is anchored by a 44,170-square-foot Lowes Food, and its remaining retail units and three outparcels are currently being marketed for future leases and development. 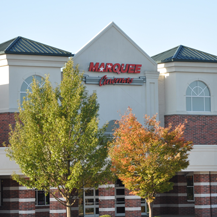 Officials are currently leasing 20,300 square feet of retail space in phase one. 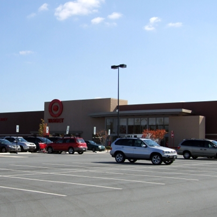 If the other unnamed leases currently under contract are completed, more than 16,000 square feet of retail space would be leased in phase one. Rick Rowe, developer and president of Raleigh-based Wakefield Associates that’s building the Hampstead development, said leasing was progressing ahead of expectations. Outdoor apparel retailer The North Face will open a Crabtree Valley Mall store this weekend with a celebration featuring a climbing wall and one of the world’s most accomplished ultra-marathoners. It’s the only North Face store in the Triangle, though other retailers carry North Face products. Tim Twietmeyer, one of about three dozen North Face-sponsored athletes and the only person to break the 24-hour barrier more than 20 times in the 100-mile Western States run, will be at the mall Friday evening and Saturday afternoon for poster signings. On Saturday and Sunday afternoons, a climbing wall will be set up outside the 5,951-square-foot store on the top level near Starbucks, The Body Shop and Banana Republic. It may be the smallest (population wise) county in metro Wilmington, but big things are in store for Pender County. Kyle M. Breuer, Pender County’s director of planning and community development, said his office has issued more than 450 building permits totaling nearly $33 million in investment so far this year. If the county’s building momentum continues for the rest of 2012, it could smash 2011’s total of 518 permits issued to builders – bringing the county closer to pre-recession building levels. Many of the permits issued are for single-family residential construction, but commercial permitting activity remains impressive – especially for a county posting the region’s highest unemployment rate and lacking some basic infrastructure for rapid development such as sewer capacity. Arguably one of the largest new-construction retail projects in the region is currently underway in Hampstead in the eastern half of the county – an area Breuer said was carrying the bulk of the county’s new construction projects. Called Hampstead Town Center, the 14.12 acres, $14 million, 81,970- square-foot development is currently under construction at the intersection of U.S. Highway 17 and Ravenswood Road. 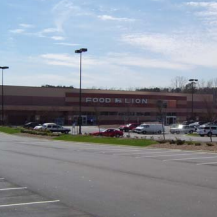 The project will be anchored by a 44,170-square-foot Lowes Food, while the remaining retail units and outparcels are being marketed for future leases and development. 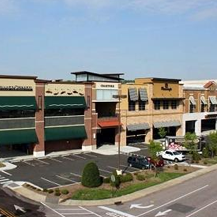 Rick Rowe, president of Raleigh-based Wakefield Associates that’s actively leasing the Hampstead development, said the retail units are being leased in phases. He said officials are leasing 20,300 square feet of retail space in phase one. Phase two leasing will involve leasing 17,500 square feet. “Right now, we have 65 percent of phase one leased,” Rowe said, while not disclosing the center’s new tenants until retail contracts are returned. Rowe said the firm closed on the Hampstead site Sept. 10 for an undisclosed amount, but the firm has been trying to break ground on the development since 2007. Rowe said the firm was also ramping up marketing efforts to lease three outparcel sites. He said one site would serve as a Lowes Fueling Center, while the other two are seeing interest from various retailers and restaurants. He said the center’s location has piqued the interest of potential retailers. is currently underway. He said construction work was also underway on the Bailey Shoppes development along U.S. Highway 17, where a Dunkin’ Donuts and a Realo Discount Drug Store will be located. Residential activity is also increasing as housing inventories regionwide begins to decrease. According to regional housing experts estimates, 35-40 percent of the Wilmington market within eight months might have no new-construction homes available to purchase. Nowhere is that more prevalent than in Pender County, where Breuer said his office is seeing an increase in new single-family activity as military families, retirees and commuters to Wilmington take advantage of the moderately-priced new starter home communities and quick access to Wilmington and Jacksonville. So far, more than 140 permits have been issued for new single-family development throughout the county. And even more units are being planned, especially in eastern Pender County. The Pender County Planning Board recently approved a master plan site revision for a 1,032-unit, mixed-use subdivision south of Country Club Drive near Hampstead. Called Hawksbill Cove, plans for the 376-acre development include 475 single-family lots, 335 multifamily units, 161 townhome units and 52 duplex units – all to be completed in phases starting in 2014. The development also calls for 23,000 square feet of retail and office space, down from 250,000 square feet when the development was first proposed and approved in December 2010, and 28,000 square feet for future civic uses. 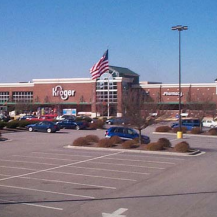 New details have been released regarding the composition and construction of the Hampstead Town Center shopping complex, a $14 millon project of which a Lowes Foods grocery store will be the anchor tenant. The developers of the center, Wakefield and Associates of Raleigh, received final permit authorization on Monday to commence work on the grounds, which will total approximately 81,000 square feet on Hwy. 17 near Olde Point Golf Course. 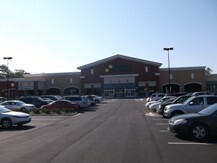 Rowe said the first phase of construction, which includes 44,000 square feet committed to Lowes Foods, as well as 20,300 square feet of adjacent attached shops, is scheduled to be completed by Memorial Day 2013. A second phase, which includes an additional 17,500 square feet of small shops, could also be completed by that time, or soon thereafter. Crews were out inspecting sewer lines at the site on Monday. A wastewater package plant is also scheduled to be installed onsite. 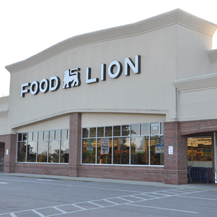 The project will be very similar to a Lowes Foods-based center completed earlier this year at Brunswick Forest in Leland. Rowe said he had yet to begin discussions regarding two of the three scheduled out-parcels, but that one would be a Lowe’s Fuel Center connected with the grocery store. 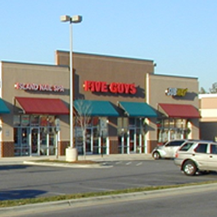 One of the other out-parcels was slated as “office space” while the other was signified as a “fast food” restaurant. He said he would be able to announce the names of all the tenants who had committed to the project and further details in the near future. Both Pender County Commissioner David Williams and Planning Director Kyle Breuer said they were excited that the project was officially back-on after years of planning and sitting idle. Lowe’s was originally scheduled to being work on the site under a different name and developer in 2007, before finally pulling out of the project altogether in 2010. “It’s encouraging to see that this company decided to stick with it and return here to get this going again,” Breuer said. 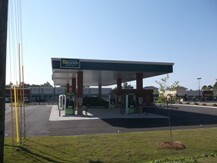 The exterior finishes will be stone and brick, and will incorporate some “green” elements into the project. A total of 410 parking spaces were included in the original design for the main shopping center, with a further 95 spaces devoted to out-parcels, Breuer said. Work has officially begun on a new Lowe’s Foods grocery store at the proposed Hampstead Town Center on Highway 17 in Hampstead, five years after plans for the project were first drawn up. In an announcement obtained exclusively by the Post & Voice, the grocery store chain said it had restarted work on a site it had selected in 2007. After several years lying dormant due to trying economic conditions, earth-movers and port-a-johns were seen onsite this past weekend. 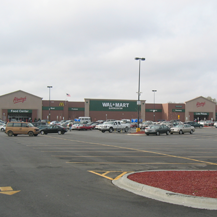 Media outlets had reported in November 2007 that ground was to be broken on the shopping center soon. Several years passed and Lowe’s terminated its agreement in 2010 after developers failed to meet an Aug. 1 deadline to begin work on the site. 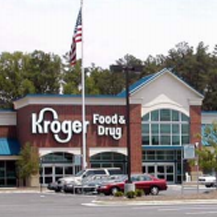 Since that time, a Harris Teeter-supported shopping center was built nearby in Surf City. 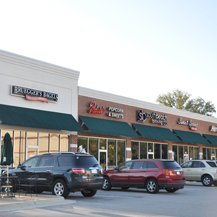 Originally plans called for an additional 39,000 square feet of retail space to the Hampstead center, including planned tenants such as Two Guys Grille, Doctor’s Vision Center, Great Clips and Cooperative Bank. There is no word yet on if any returning or new tenants had committed to space in the center. 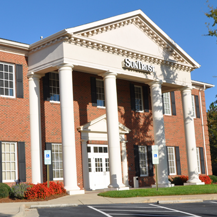 The Winston-Salem-headquartered company has four stores in Wilmington and additional locations in Leland, Shallotte and Southport. Things are looking a little different around here!, We want to make sure our clients get the best service possible. To make your experience with us even easier, we’ve partnered with Redwood Productions (Design-Print-Web) to bring you a new and improved, easy-to-use website.